But, this is not a specific condition, but rather a collective term for overuse injuries that result from excessive exercise and activity of the lower extremities with a main presentation of knee pain on the underside of the patella (knee cap). In tennis players, this condition is most often during the knee bending phase of the serve or when bending the knee during a volley. The main cause of this condition is weak quadriceps muscles and poor hamstring flexibility. These weaknesses cause the patella to absorb more of the impact during running and causing irritation to the cartilage under the kneecap and micro-trauma to the origin of the patellar tendon at the bottom of the kneecap. Weak quadriceps can also exacerbate patellar maltracking or instability, a condition where the kneecap may slide in and out of its intended position causing pain, locking, and buckling of the knee. 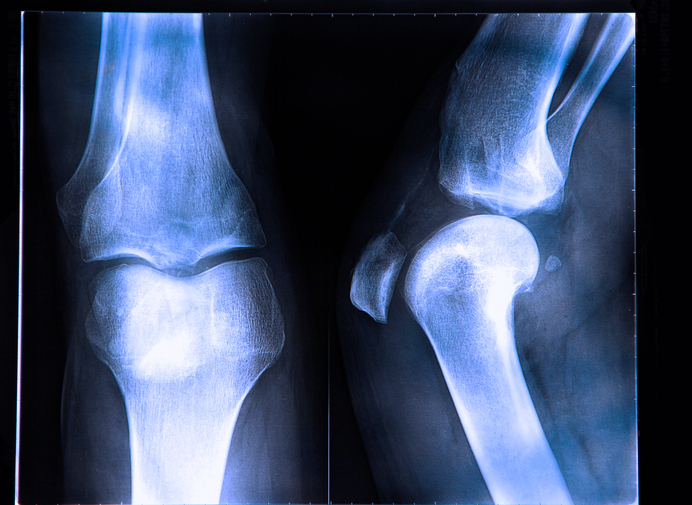 Other common causes include worn cartilage in the knee joint, which reduces the ability of the knee to absorb shock. Those with high-arches are also at risk as their feet provide less cushioning. Also, those with flat feet are at risk as the excessive turning out of their feet can pull the patella out of its intended position during activities exacerbating maltracking. ►Pain on bending the knee, associated with activities such as bending, jogging/running, or kneeling. ►Pain when arising from a sitting position. ►Worsening of the pain when walking downhill or downstairs. ►Pain localized around the kneecap. ►Swelling in the front of the knee. ►A grinding or popping sensations in the region of the kneecap. Runner’s Knee has also been shown to be more common in women than men. Treatment will vary depending on the cause of the problem, present symptoms and functional status of the patient. Very often, the first line of treatment is physical therapy, which may incorporate pain management with the use of therapeutic ultrasound. The goal of physical therapy is to strengthen the gluteals, hamstrings and quadriceps, as well as stretching of the calf muscles, iliotibial band, as well as quadriceps and hamstrings. Another focus of physical therapy is balance training to create optimal knee alignment so that further injury can be avoided. Specifically for patellar tendonitis an eccentric strengthening program can significantly improve symptoms in up to 90 percent of patients. For patients who have failed conservative treatment for patellar tendonitis an injection of PRP or platelet rich plasma, which is an in office procedure where the tendon injury is injected with one’s own blood, can help in tendon healing and improve or resolve symptoms. For patients who fail these treatments an arthroscopic debridement of the tendon can cure symptoms in up to 90 percent of patients. For patients with patella chondromalacia who have failed conservative treatment injections with PRP or viscosupplementation can help with symptoms. Viscosupplementation is an injection done several weeks in a row where the normal lubricating protein in ones knee is injected into the knee to increase viscosity and lubrication, which improves symptoms and pain. In rare cases surgery is performed to correct the misalignment of the patella so that stress for weight-bearing activities can be distributed more evenly. However, surgical procedures are considered only when all conservative modalities have failed to provide relief and there is an underlying defect of the knee that is present and must be addressed. Assessment by an orthopedic surgeon can diagnose the problem causing the pain and tailor a treatment plan that is specific for the problem.